Cosmos Himalayan Villas is a property manage by Cosmos Ventures providing accommodation facilities in heritage bungalows and well appointed cottages equipped with modern amenities. Cosmos Himalayan Villas is located at Open View Estate (1 km from Ranikhet) and in Majkhali (9 km from Ranikhet). Both the locations affords breathtaking views of the Himalayan range and lush green Kumaon valley. 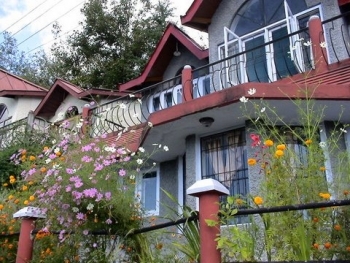 Cosmos Himalayan Villas has been serving travellers since 2002. The guests are assured of royal stay in the lap of nature at Cosmos Himalayan Villas, Ranikhet.There is also Villa Luxury accommodation coming soon at Altius Estate near Ranikhet. 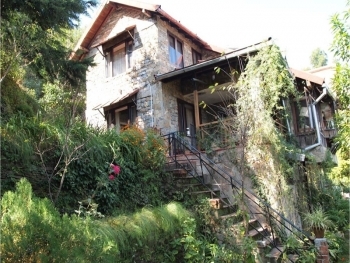 The luxury property is dotted in Kumaon hills in Ranikhet. At just 1 km from the town on Golf course road, the deluxe cottage in Open view estate is situated and at about 8 kms further cottages in Majkhali is also Cosmos property. Accommodation at Cosmos Himalayan Villas is provided in Cottage Deluxe and Heritage Deluxe. Cottage Deluxe are double-occupancy rooms with space for extra bed. Most of the cottages also have a well-equipped kitchenette. The cottage has living room, dining area, sit-outs / balcony, and garden. Heritage Deluxe have large and private double-occupancy rooms in bungalows in colonial era design. Open View Estate has Deluxe Cottage and at Majkhali, there are Elite and Deluxe cootages for a comfortable stay. Indulge yourself in the mouth-watering food served Cosmos Himalayan Villas. The guests can have other meals prepared in-house or book for fine dining. - Above are Net. Rates for single/double occupancy, inclusive of welcome drink and all prevailing Taxes only, or European Plan (EP). - Peak Season: 16th April 2015 - 9th July, 21st December - 5th January 2016; Lean Season: Up to 15th April 2015, 10th July - 20th December, 6th January - 31st March 2016. - One child below 6 years of age sharing the bed with parents is Free. For older and additional children, the 'Extra Bed' Charges will be: Rs. 700 (EP), Rs. 850 (CP), Rs. 1000 (MAP), and Rs. 1150 (AP). - Check-in and check-out time is 0900 hrs, and early check-in or late check-out is subject to availability and may be chargeable. - Cancellation charges will be 25% of the booking amount for cancellations up to 48 hours before scheduled arrival and will be the full booking amount for cancellations any time latter or for ‘no show’. By Road - Ranikhet is well connected with all important cities by road. Personal Vehicles and Taxies are the most preferred mode of reaching Ranikhet. By Air -The nearest airport is at Pant Nagar, Nainital (112 Kms). Regular flights operate during the summer. By Rail - By Ranikhet Express from Delhi to Kathgodam (The nearest Railhead from Ranikhet). One can reach Ranikhet via road from Kathgodam. Connectivity also available from Lucknow Calcutta, other places to Kathgodam.